First we have to look at who the “chosen” is… “For you are a holy people to the LORD your God; the LORD your God has chosen you to be a people for His own possession out of all the peoples who are on the face of the earth,” Deuteronomy 7:6. There have been a number of sceptics that complain that it is unfair for God to choose the Jews as His people over all others. Although it would be unfair for God to show partiality to one people group …this is not what was meant when the Bible said that God chose the Jewish people. The Bible indicates that God chose the Jewish people and the land of Israel as the people and place through whom He would send the Messiah. Being chosen did not always bring great blessings, since the Jews were held to a higher level of accountability, and were judged for their failures. The Bible makes it clear that God does not show partiality, since He created all people and He commands His people to behave likewise. The dispersions of the Jews by Assyrians to Babylon (1st Temple destroyed) and then again by the Romans (2nd Temple destroyed) - both occurring on the Biblical Calendar day; 9th of Av was orchestrated by God and divinely ordained. The Jews were released from the Babylon of Ezekiel’s time rather quickly, but they were never able to escape from the captivity of Rome. The Jews returned to Jerusalem just 70 years after the loss of Solomon's temple and their captivity at the banks of the Euphrates’ (Iraq) in Babylon, but they had to wait almost two thousand years to recover their city from the Gentiles (Rome and Islamic nations). However, after their 70-year exile in Babylon (2 Chronicles 36:20-23; Isaiah 44:24; 5:7), 597 BC - a siege lasting approximately one and a half years, Jerusalem was conquered and destroyed. Most of the people were taken into captivity, along with articles from the First Temple and only the poorest people remained (2 Kings 25). After the exile in 70AD (Daniel 9:24-26; Matthew 24:1-2), (at all times a Jewish remnant remaining in Israel), God once again re-gathered the Jews back to Israel in preparation for the soon Coming Messiah. Beginning in 1947 and Statehood in 1948 the rebirth of the land of Israel the Lord brought them back to their land. Both the Old and New Testaments indicate that God does not show partiality among people, since He is the Creator of all. Because of this principle, the Jews were commanded to be impartial too. Likewise, the New Testament commands its followers, Jew and Christian, to love all people and not show partiality …especially when it comes to distinctions between the rich and the poor. Twenty-five hundred years ago, the prophet Ezekiel spoke of the restoration of Israel to its land in the last days. Ezekiel 37 spoke of “dry bones” coming to life. Never before in history has a nation been destroyed and scattered all over the world, and then been brought back to life. It is a miracle and a fulfilment of Bible prophecy! We read in Ezekiel 37:11-12; “Then He said to me, 'Son of man, these bones are the whole house of Israel; behold, they say, 'Our bones are dried up, and our hope has perished. We are completely cut off.' Therefore, prophesy, and say to them, 'thus says the Lord God, Behold, I will open your graves and cause you to come up out of your graves, My people! And I will bring you into the land of ISRAEL.’” Notice that the name of that land is ISRAEL, the land that so often is called the “Land of Canaan” in the Bible. God says that in the Last Days it will be called ISRAEL – NOT Palestine! The name, “Palestine” was a regional name that was imposed on the area by the Roman Emperor, Hadrian, who suppressed the Second Jewish Revolt in AD 135. 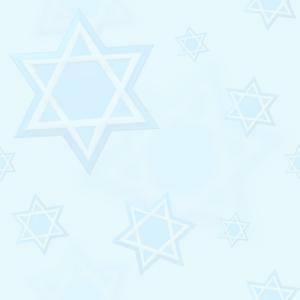 (See our December teaching on Hanukkah). He was so angry with the Jews that he wanted to humiliate them and emphasize that the Jewish nation had lost its right to a homeland under Roman rule. The name “Palaestina” was originally an adjective derived from “Philistia,” the arch-enemies of the Israelites 1000 years earlier. Hadrian also changed the name of Jerusalem to “Aelia Capitolina” after his own family name, “Aelia.” He also forbade Jews from entering the city, except on the 9th of the Hebrew month, Av, to mourn its destruction. Since he was considered a god in the Roman Empire, this was his attempt to break God’s Covenant between the Jewish people and their land. This effectively declared his pagan authority over Jerusalem, which had been the place of the presence of the God of Israel. To this day, the name “Palestine” flies in the face of Israel and the entire issue can be boiled down to a religious (spiritual) battle over a land whose fate will be decided by the God of the Bible, since it is His land (Leviticus 25:23). Yeshua (Jesus), in describing the signs of the End of the Age, said; “Jerusalem will be trampled on by the Gentiles until the times of the Gentiles are fulfilled,” Luke 21:24. From the time of Hadrian until 1967, Jerusalem was controlled by Gentiles. It is now back in the hands of the Jewish people, which is one sign that Messiah is soon to come to Zion! We cannot curse the Jews and expect God’s blessing! Romans 11:11-14, Paul teaches us Christians that we are “grafted into the olive tree (Israel),” which are the covenants, promises and hopes of Israel. We do not hold up the tree, but it holds us up, so we should not boast against His people, Israel. In Romans 11:28, he tells us that they are beloved for the sake of the patriarchs. Without the faithfulness of the Jewish people in Israel, we would not have our example, our Bible, our Yeshua or our salvation. Therefore, he concludes that… “by our mercy, they will receive (God’s) mercy,” Romans 11:31. Paul teaches us Christians that we have a debt to pay to the Jewish people, by blessing them in tangible ways. 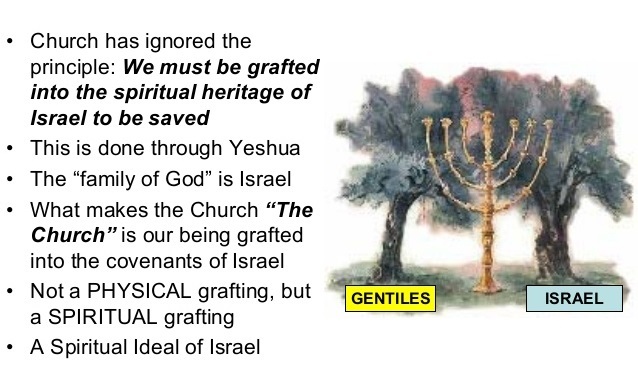 Romans 15:27 clearly states; “For if the Gentiles have shared in the Jews' spiritual blessings, they owe it to the Jews to share with them their material blessings.” How much more direct can God be regarding our Christian relationship to Israel and the Jewish people! The day of Israel’s full restoration is near… Our Messiah Yeshua (Jesus) will make it possible so that we shall all live peacefully together, but until He comes, we, who believe the Bible to be God’s Word and that every promise of God will come to pass …must stand and support Israel's right to its land! It is a Divine right! We are patient with those who do not believe the Bible and those who through ignorance do not accept Israel's right to the land (which is un-Biblical). But, with love for all, we MUST strongly support Israel’s right unconditionally (which is Biblical)! We cannot do otherwise and have clear consciences. We cannot say on the one hand that we believe there is a God who has revealed His perfect will in His Holy Scriptures and on the other hand, deny Israel its right to the land that God promised to her. Our commitment to Israel was penned by the Psalmist so long ago in, Psalm 102:13; “You will arise and have compassion on Zion, for it is time to show favour to her; the appointed time has come.” This is that day! Again, the Psalmist commands us to - “Pray for the peace of Jerusalem (Psalm 122; 6-9). Churches must stand with Israel not the enemy! Recently the Evangelical Lutheran Church in America (ELCA) met in New Orleans and approved that a proposal that aimed squarely at Israel urging their church members, congregations, agencies and presiding bishop to call on their US representatives, senators and the Obama Admin., to take action and requiring that to continue receiving US financial and military aid, Israel must comply with internationally recognized human rights standards as specified in existing US law, stop settlement building and the expansion of existing settlements in East Jerusalem and the West bank, end its occupation of “Palestinian” territory and enable a so-called independent “Palestinian State!” But, against all odds Donald Trump was elected as the next President of the United States and one of his promises is to move the US Embassy to Jerusalem which is historical …and in so do declaring to the world that Jerusalem is Israel’s Capital! God’s plan – not mans for Israel will come to pass! All the points of the ELCA are problematic! But let’s just look at the last one… “Enable an independent Palestinian State?” Palestinian President Mahmoud Abbas was elected in January, 2005 for a 4-year term and almost 12 years later he is still serving that 4-year term! They haven’t had a presidential election in all these years! That’s not Israel’s fault as the Palestinians have the authority to hold such elections. They just don’t because Abbas knows that he would almost certainly loose a general election to Hamas! That’s also why you didn’t hear the Obama Administration complain during the past 8 years that Abbas’ presidency is illegal and illegitimate! 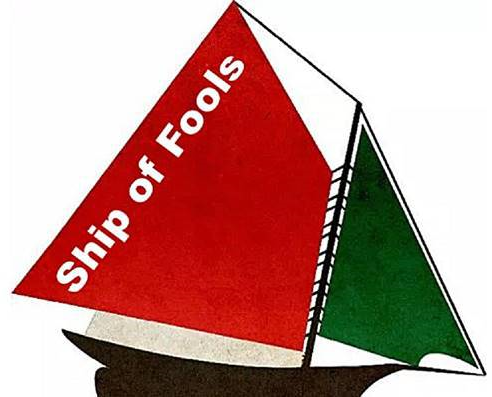 All the western nations believe that Abbas is the best that they going to get! How can anyone expect Abbas and other Palestinian leaders would keep their word to Israel and other nations if they refuse to keep face with their own people…? In February of 2005, Israel through immense pressure from the US and then President George Bush, pulled out of the Gaza strip and every Jew left the region. Israel made an overture of peace and the Palestinians read it as a sign of weakness. The nations of the world poured money into Gaza but just weeks after Israel’s withdrawal the people of Gaza elected a known terrorist group - Hamas, to government and so money that was sent for schools and hospitals went to weapons of war including a vast network of tunnels used for attacking Israel! Churches and nations of the world should do well to remember God’s promise to Abraham… Genesis 12:3, “I will bless those who bless you and those who curses you I will curse!” How is Israel supposed to make peace with terrorists and much less enable an independent Palestinian State…? When Muslim dominated governments rule nations – democracy dies! Yes, that’s a harsh criticism of Islam but history proves its true! Turkey succeeded as a democracy for decades because it was a strictly secular society but with its recent shift towards Islamic rule there has been a corresponding shift toward the rule of a strong man - Turkey’s president Erdogan! 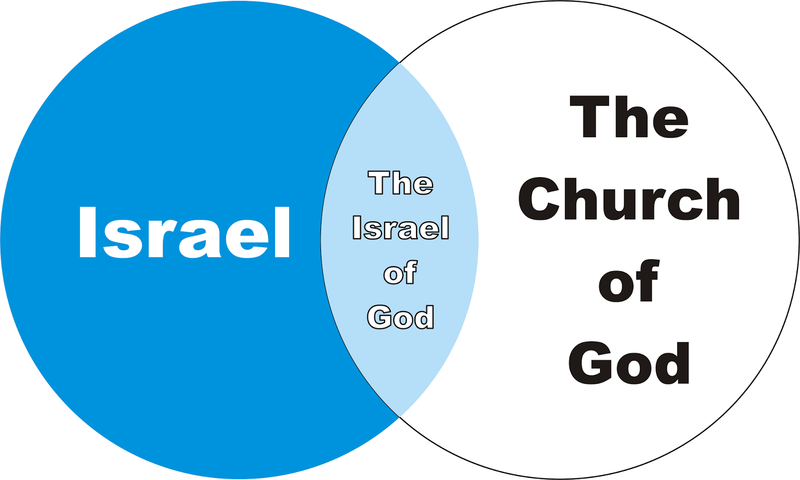 The ELCA and other mainline American church denominations, and including our South African government that support BDS (Boycott, Divestment, Sanctions) movement should ask themselves this question … “How would we feel if a terrorist group with the same ideology and brutality as ISIS existed within a few kilometres (miles) from us…?” Hamas and ISIS (Islamic State) are peas in the same pod! But, do these churches really believe that Israel should be working towards empowering a Hamas run Palestinian State? A Palestinian people can only be represented when they are allowed to hold a free election and at that time a new legitimate government that is not filled with hate and that will accept the existence of a Jewish State in the Middle East. Hamas will most certainly win such an election and it has already said that it would do everything it can to wipe Israel off from the map! Before Israel makes more concessions wouldn’t it be wise to know who they are making concessions to and what their disposition towards Israel will be in the long run...? 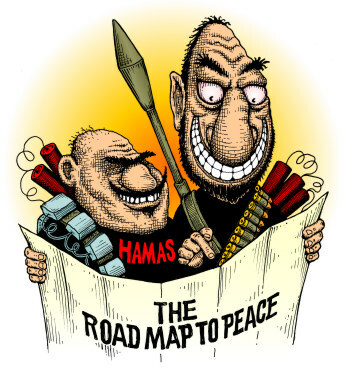 Hamas plans to continue encouraging terrorist activities! The Fatah party that governs the so-called West Bank right now is slightly less radical than Hamas but it still actively encourages terrorism against Israel! Should these American Churches and Western Governments call on these Palestinians to cease their terrorist activities…? The USA has a long-standing policy not to negotiate with terrorists and so shouldn’t they first support their greatest ally, Israel, with the same policy? The world is on the verge of major change and It is this change that will usher in the Coming of Yeshua (Jesus Christ) … Before war engulfs two civilizations, diplomatic relations tend to be severed. During the Obama Admin., we are witnessed the beginning of severing of relations between Russia and the West. Our world is on the verge of something major and you can feel it! Syria is a cesspool, and there are reports the United States is practically pushed out of Syria. This will allow Russia, Iran, and Turkey to wield their influence north of Israel. This has to make Israel nervous. Not only do we have war in the Middle East on the horizon, we have the Deutsche Bank in Germany on the verge of insolvency. If the German bank fails, then there will likely be contagion in Europe not seen in recent memory, and it will dwarf 2008. In Revelation 6, the seals are open where economic calamity, war, disease, and martyrdom all come one right after the other. This is not Revelation 6, but we see the warnings today. Russia sent anti-missile batteries to Syria in lightning speed, and built up its military as the West, led by the Obama Admin., retreated. This bodes ill for Israel. Ezekiel 38/39 and Isaiah 17 must be in order concerning the recent developments. Damascus will be destroyed in one night, according to Isaiah, and Israel will miraculously be saved by Yeshua (Jesus) as a Russian, Iranian, and Turkish advance on the Jewish state will be overwhelming. Other nations will join the fight, but these three are the main players. The nations are not only aligning themselves up against Israel, but against born-again Christians. The change that we see, can be divided into three areas and all are going through dramatic changes that will shake the world: The First is Israel. 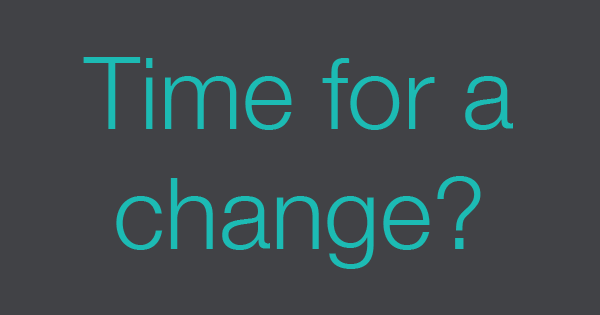 It is this change that Christians will have to understand in order to fulfil their purpose in this age we live in. Shimon Peres passed away in Israel on the 28th September, 2016 - and even though we did not agree with his policies, it is a sad day when the last of Israel's founding fathers has passed away. It makes us wonder if now we are ready for the Coming of Yeshua (Jesus). Has the generation of the last days entered its last days…? Don't know, but all the world leaders concern about Israel shows just how important this land is to the world and one day the Antichrist will walk into East Jerusalem to perform the “abomination of desolation.” You have to feel he is a part of the delegation somewhere…? Time will tell! While all chaos was happening around the world today hardly any people even noticed that Israel suffered an important defeat at the United Nations where UNESCO voted that the Jews do NOT have any historical significance to the Temple Mount (Mount Moriah) in Jerusalem and sadly, our country South Africa stood with mostly Muslim countries for this evil. South Africa is considered an 80% Christian country but many have forsaken their Hebraic – Judea-Christian roots. Our government is corrupt as they support Islamic nations in the destruction of Israel in exchange for an un-Biblical Palestinian State! Muslims CURSE Jews and Christians 17 times each day as “Allah” commands them to do so in their Quran as part of their “salat” (5 times daily prayer)! 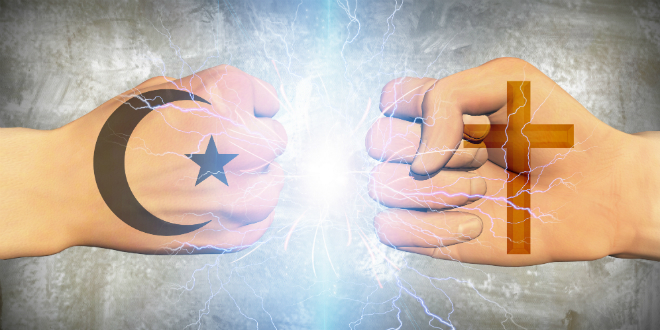 The West must wake up to the fact that light and darkness don’t mix! Even the Arch of Titus shows a Menorah celebrating the Romans tearing down the Jewish Temple, but the world ignores this! UNESCO has not studied their history or the Bible. What a world we live in, but thank you Lord - we are just passing through. Israel is going through some major changes spiritually. There are approximately 15,000 Messianic believers at time of this writing. The Jews are looking for “truth” and their “Messiah” and we Christians are called to “provoke them to jealousy” as we have the answer. The state of Israel is ripe for salvation. The state of Israel is not by accident. As already explained Israel was brought back into her land miraculously in order for the Scriptures to be fulfilled! This revival will take place as the world's sins are magnified in the name of personal rights which find itself in the lukewarm Laodicean Church. Israel is ripe for revival, and it will take prayers and Christians with determination to spread the message of the Messiah to the Jewish people by showing that we care and that we love them even when the world turns their backs on Israel we will support them! The Second is the Church: though in decline and weak! The organized church in the west is sick and naked and without power and in many ways, have aligned themselves with the corruption in this world in order to make peace with this world. The calling of the church is to make peace with her Saviour, NOT the world. The world has decided the Jews do not belong and neither do the Christians. Hillary Clinton called conservative Catholics and Evangelicals the “bastards” of Christianity. In her eyes, we don’t belong either and in fact has offended Christians not only in America but across the world! Revelation 17, speaks of a time where the false church will align itself with the governments and these leaders of the world as we the “true church” wait as a “bride” for our soon coming “Bridegroom” – Yeshua (Jesus). It is of no surprise to see the hatred of the world against the Jews and Christians, and much of this is coming from liberals and their false, pagan churches. They don’t seem to understand that whilst the Western liberals stand with Muslims and persecutes Jews at the same time Islam is persecuting Christians and Jews! The rise of Christian persecution during the Obama’s leadership; 2014, was the most violent in modern history rising to a level likened to “ethnic cleansing” or “genocide.” It was the worse year for persecuted Christians in history as beatings, rapes, kidnappings, torture, and killings all increased. The situation has only worsened in 2015 and 2016 up until now! More than 7,150 Christians were killed in 2015 for their faith and is up 3,000 from the previous year, according to Open Doors. Much of the persecution faced by Christians occurs in predominantly Muslim nations, many of which are failed states who do not protect the rights of Christians. Even Christian majority countries are seeing increases in discrimination, exclusion and violence. The presence of Islamic extremist’s factions across the Middle east and the world in 2015 brought religious persecution for not only Christians and Jews but for Yazidi’s and other religious minorities too. Radical Islamists view the West as infidels, faint-hearted, cowardly, obese, immoral and as devils that deserve no mercy after decades of policies that they say have persecuted Muslims around the world. We shouldn’t act surprised in the face of their aggression as the West has become weak …leaving a void of a strong “world leader” over the past eight years …and especially cowardly silent when atrocities are committed by them even refusing to call out their “radical Islamic” savage crimes against Christians and Jews. These Muslims truly believe that they are doing Allah’s work in killing the infidel, and they are now also more capable of doing this evil work than at any time in the past! The world has not seen such a threat from Islam since the battles of Tours (732 AD) and Vienna (1529 AD). Iraq and Syria are the epicentre of Islamic State (ISIS) so-called Caliphate. While Afghanistan, Pakistan, Iran and Libya all have elements of Islamic extremism. ISIS and other extremist Islamic terrorist groups are spreading not just in the Middle East but around the world …and Christians across the globe now face a total lack of religious freedom, forced migration and even genocide! The advancement of the ISIS/ISIL terrorists under the US Obama Admin., was immense as they funded and supplied them with weapons and other totalitarian governments like North Korea have also contributed to the rise of persecution. Time and time again, those living under persecution and those Christian refugees claim that their greatest need is hope found in their faith …and hope born of the knowledge that Christians around the world are praying for and remembering them! World War III has started and while the church remains asleep …we sincerely believe that God is about to something that will soon awaken this slumber! How much longer before we get serious about this very real, existential threat to our own Western nations…? The only defence is to turn toward God; to bring the lost into the Kingdom of God as He desires none should perish but have everlasting life; abandon wickedness; to attack this evil of Radical Islam and call it out by what it really is! Only then will we have the moral strength to confront radical Islam …and stop the world’s most destructive ideology in its tracks. The Russian -Iranian -Turkish axis is advancing as we write this article. Israel is very concerned, but the West is preoccupied. We do not know when the Gog/Magog War of Ezekiel 38 will transpire, but events are showing that it could be extremely close. As the organized church sinks into more sin and depravity, there is a remnant who listens to the Lord and will rise up and speak with one voice proclaiming the Kingdom of God is at hand in the Name of the coming King of Kings, Yeshua HaMasiach - Jesus Christ. You are the quiet voice, the voice in the wilderness, because you have the Spirit of God in you. Knowing how God views war may affect how we view God… If among the millions who have been deeply hurt by human warfare, no doubt need to know the answer to the question… “Is God, as some believe, a warmonger who allows or even encourages the suffering associated with war, or might He be passive and unconcerned about the welfare of the oppressed?” Some may be surprised to learn that the Bible’s answer differs greatly from either of those opinions. Furthermore, from the past down to today, God’s view of war has remained the same. What the Bible says about how God viewed war in the ancient past and in the First Century, when Yeshua (Jesus) walked the earth. That will help us to see how God views war today and whether war will be a part of mankind’s future. The Israelites (God’s people in ancient times) were being oppressed and they repeatedly prayed to God for relief, but none came - at least not right away. Their oppressor was the mighty nation of Egypt (Exodus 1:13-14). For years, the Israelites waited for God to bring an end to the Egyptian tyranny. Eventually, God’s due time for action arrived (Exodus 3:7-10). The Bible reports that God personally waged war against the Egyptians. He afflicted Egypt with a series of devastating plagues, and then He destroyed Egypt’s king and his army in the Red Sea (Psalm 136:15). God proved to be “a powerful warrior” on behalf of His people (Exodus 15:3-4). The fact that God Himself waged war against the Egyptians shows that He is not against all warfare. On other occasions, He authorized His people Israel to wage war. For example, He commanded them to wage war against the Canaanites, who were exceedingly wicked (Deuteronomy 9:5; 20:17-18). God directed Israel’s King David to war against the oppressive Philistines and even provided David with a battle strategy that ensured victory (2 Samuel 5:17-25). Those Bible accounts reveal that when certain forms of wickedness and oppression threatened the Israelites, God authorized warfare for the protection of His people and the preservation of true worship. But, God takes no pleasure in the death of humans, good or evil since He is the source of all life (Psalm 36:9; 37:12-14; 86:15). For example, God decreed that before the Israelites warred against a city, they were to “announce to it terms of peace,” in order to give the inhabitants an opportunity to change their ways and avoid war (Deuteronomy 20:10-13). So, in this way, God showed that he takes “no pleasure in the death of the wicked, but rather that someone wicked changes his way and keeps living.” (Ezekiel 33:11, 14-16). Does God condone war…? God often ordered the Israelites to go to war with other nations (1 Samuel 15:3; Joshua 4:13). God ordered the death penalty for numerous crimes (Exodus 21:12, 15; 22:19; Leviticus 20:11). So, God is not against killing in all circumstances …but only murder! War is never a good thing, but sometimes it is a necessary thing. 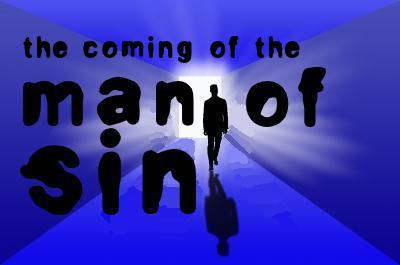 In a world filled with sinful people (Romans 3:10-18), war is inevitable. If we want peace we must prepare for war. Sometimes the only way to keep sinful people such as ISIS/ Hamas/ Boko Haram and other evil groups from doing great harm to the innocent is by going to war. In the Old Testament, God instructed the Israelites to take vengeance on the “Midianites” to conquer evil BUT never to expand their borders beyond their Promised Land (Numbers 31:2) and this Israel never has done. Also in 1 Samuel 15:18; “Go and completely destroy those wicked people, the Amalekites; make war on them until you have wiped them out.” Obviously, God is not against all war! Yeshua (Jesus) is always in perfect agreement with the Father (John 10:30), so we cannot argue that war was only God’s will in the Old Testament. God does not change (Malachi 3:6; James 1:17). 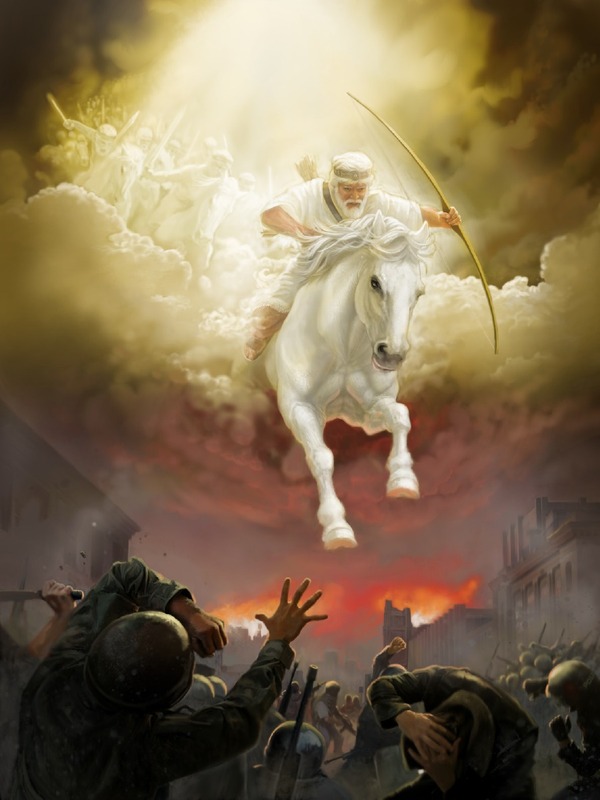 Yeshua’ Second Coming will be exceedingly violent! Revelation 19:11-21, describes the ultimate war with Christ, as conquering commander who judges and makes war “with justice.” As we can read in this Scripture …It’s going to be bloody and gory! The birds will eat the flesh of all those who oppose Him and He will have no compassion upon His enemies, whom He will destroy completely and consign to a “fiery lake of burning sulphur. Why…? Because our God is a just God and will deal with evil and sin. You see it’s an error to say that God never supports a war. Yeshua (Jesus) is not a pacifist. In a world filled with evil people, sometimes war is necessary to prevent an even greater evil. For example; If Hitler had not been defeated in World War II, how many more millions would have been killed…? Yes, war is a terrible thing! Some wars are more “just” than others …but war is always the result of sin (Romans 3:10-18). At the same time, we must seek peace first always! Ecclesiastes 3:8 reminds us; “…There is a time to love, a time to hate, a time for war and a time for peace.” In a world filled with sin, hatred, and evil - war is inevitable! Christians should not desire war, but neither are we to oppose the government God has placed in authority over us (Romans 13:1-4; 1 Peter 2:17). Lastly, the Third is the Gentile nations led by the European Union… as it is clear to see that the West under the leadership of the Obama/Clinton Admin. - was weak! Islam has infiltrated Europe and the West to change the Judaeo-Christian values, the Bible and remove Jew or Christian heritage. Obama during past eight years has left this world in a very dangerous place. Interesting that Russia, during October 2016 called students educating abroad back to Russia as events are heating up in the Middle East. This is a move that needs to be watched since Russia has aligned itself with Turkey in some very important agreements and all points to a calculated move on Russia's part in the Middle East. Obama in an ill-prepared way has sent himself off in an unflattering way and Putin is quite prepared to help him do so as there was no love lost between the two! It’s not difficult to see that Gentile nations, especially in Europe, are falling apart and it is in this dis-integration that the Antichrist and False Prophet will come together with a so-called peace and “save” the world from crises. This will originate in the West between the EU and eventually the New World Order (NWO) will emerge before the Coming of Christ. As much as we hate to see the world come together in depravity. This must happen so that Scripture be fulfilled. The “elites” will not allow the largest economic union, the EU, to collapse! In the coming months, ahead, we will see more signs that the Antichrist is near as the puzzle comes together” piece” by “peace! As we pit this with the new military contract formed between Russia and Turkey to prepare for Gog/Magog, and we have almost all the End Times actors in place. We see major changes going on! We must always remember God is still in control! God’s Word is true! He IS watching to see how the nations are treating His people. God will have mercy on Israel through Gentile believers acting as mediators towards them… This is one of the most amazing revelations ever given to the church – an opportunity to do something that carries the highest priority in the heart of God. Yet… sadly, so few have seen the potential and the rewards of serving God in this manner - as agents of mercy to Israel and the Jewish people! Israel was and still is despised today… and a despisable nation continually turning away from God but nothing ever altered the purpose of God for that nation. The despised element is always a noticeable element in the purpose of God. When the Saviour of the world came, He came of that despised nation; like Israel… He Himself was “despised and rejected by men,” …and there is that despised element, “…things that are despised God has chosen,” 1 Corinthians 1:28. Now more than at any time is the time to support Israel and the Jewish people - the Lord’s Brethren! We are witnessing the nations and people turning their backs on Israel. Thank you for your generous support!